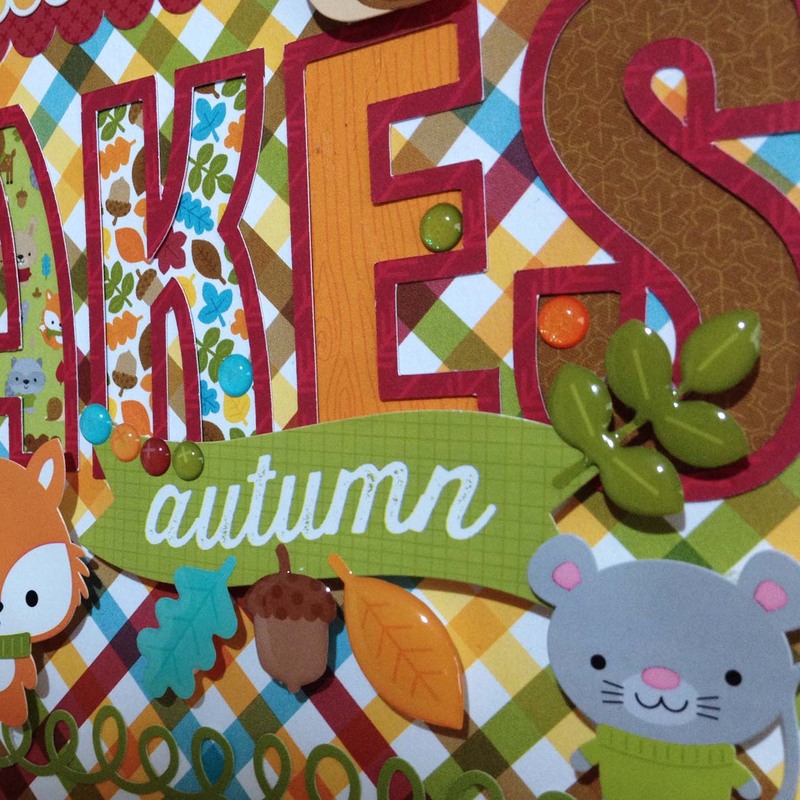 Silvia here showing you the wonderful Doodlebug's Fall Friends Collection. The color palette of this collection is gorgeous. 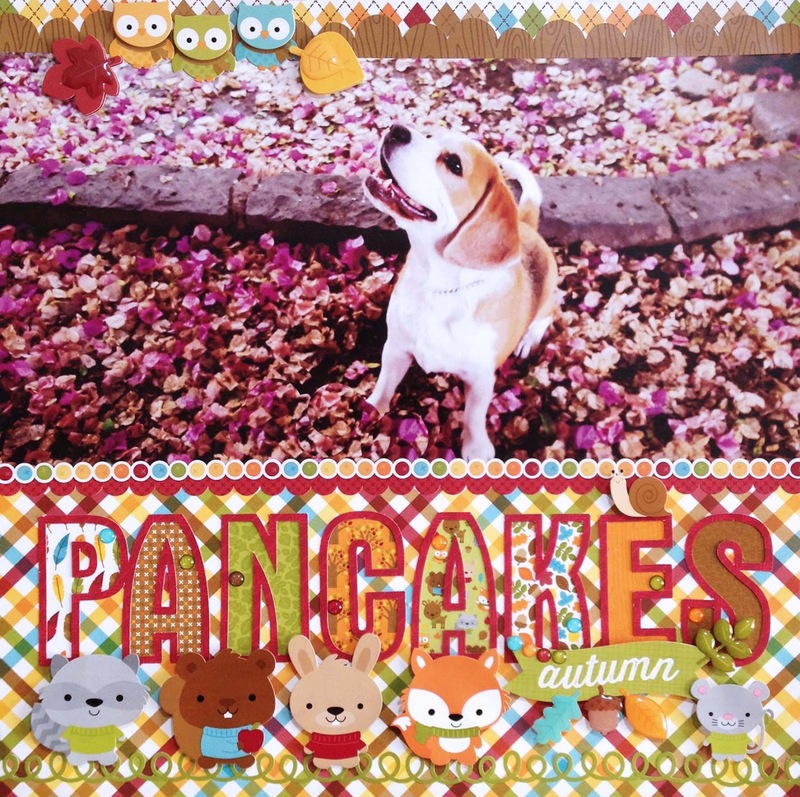 When I saw the collectión I immediately tought that I had a Pancakes´s picture that match perfectly with those colors. It´s a picture that we took in a Garden in México named "Xicoténcatl" and is in the south of the city, we enjoy a lot to be there. Was a sunday morning and the floor was covered of Bugambilia flowers. All the little "friends" of Pancakes are so cute!!!! They are adorable!!! The Shape Sprinkles looks so nice !!! I cut the letters with different cardstock, the outline enhace the colors of the letters!!! Those owls are so nice!!! 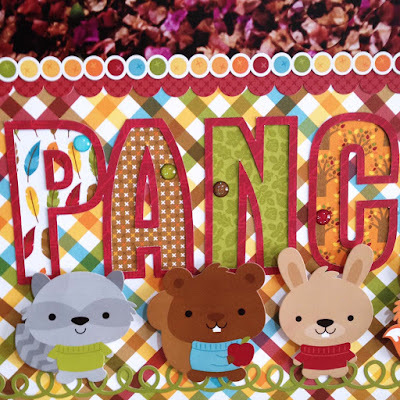 A Sprinkle inside the letters are a shiny touch!! and remember that I loved to read your comments!! Super fun layout, love the colors and patterns! ahora si que como dijo el perro...wow....que hermoso...esta super lindo !! his page made me smile! 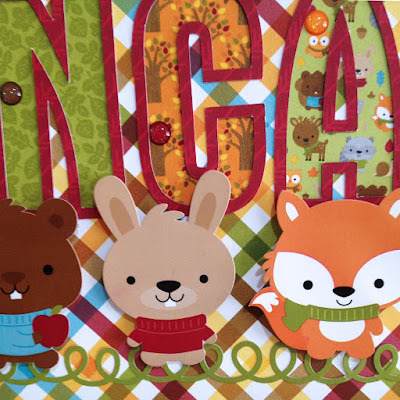 I love how you used the different patterned paper for each letter, and added the same solid border around it. I'll have to try that! Esa Pancakes!!!! Está precioso tu LO, esos perritos bellosss que amamos con locuraaa!!! Felicidades mi Chivirivis! Ay, Ay,Ay me encanta! La colección esta divina y la modelito tan tierna, Felicidades Parejita! So cute Sylvia!!! I love pancakes too he's so sweet!! te he dicho que soy tu fan?.... me encanta verte creando en Doodlebug amiga juntos son una explosión de color y creatividad maravillosa!!!!! esta colección es divina! Beautiful details on this and that title is so amazing!!! 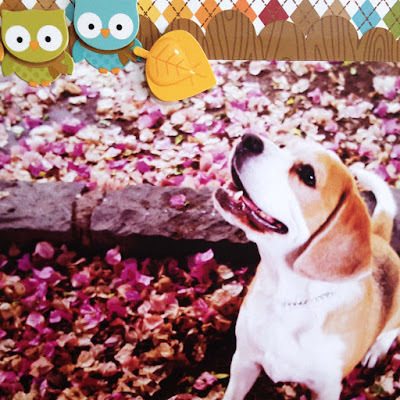 You have done an awesome job using this collection!! So great! !